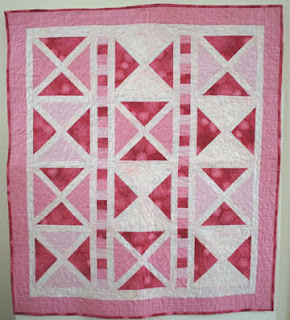 The baby quilt is finished and tucked away, awaiting the imminent birth of its new owner. I was amazed at how this flew together and the joy I had in making it. 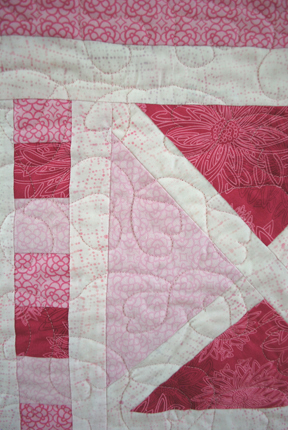 I really wanted to quilt it with free motion quilting on my machine rather than stitching in the ditch. I decided to play with enlarging an idea I had used for a challenge project in my guild. I am quite pleased with the way it turned out. Now, on to other projects! It's a lovely quilt Judy! 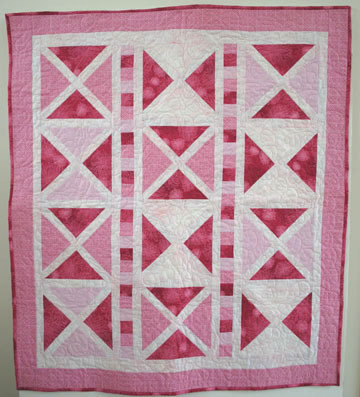 I like this a lot and your hearts quiltings is so appropriate.... love the sashing strips.